The IRS’s 2011 Offshore Voluntary Disclosure Initiative ended September 9. Preliminary IRS estimates reveal that some 12,000 taxpayers came forward and disclosed their previously unreported foreign accounts and income (IR-2011-94). When added to the totals for the 2009 amnesty, roughly 30,000 people have now come into compliance and reported their foreign holdings. According to the IRS, as many as 1 million people may have unreported offshore accounts (Department of the Treasury, A Report to Congress in Accordance with Â§361(b) of the USA Patriot Act 6 (April 26, 2002)). Each of these people is a potential client. Criminal penalties for not reporting offshore accounts can be harsh. Willful failure to file an annual Form TD F 90-22.1, Report of Foreign Bank and Financial Accounts (FBAR), is a felony punishable by up to five years in prison and a fine of up to $250,000 (31 U.S.C. Â§5322). If a taxpayer files a Schedule B, Interest and Ordinary Dividends, with his or her Form 1040 return and fails to check the box indicating that he or she owned or had control of a foreign account, or falsely checks the “no” box, the taxpayer may also be guilty of filing a false tax return, another felony (Sec. 7206). The civil penalties for failure to file the FBAR are also severe. Unlike many penalties that are based on the amount of unreported income, the maximum civil penalties for not disclosing a foreign account are based on the highest balance in the account. If the IRS finds that the violation was willful, the penalty is up to $100,000 or 50% of the highest account balance in each year there is a violation, whichever is greater (31 U.S.C. Â§5321(a)(5)). The IRS has aggressively pursued criminal prosecutions and the 50% penalty against those they believe have intentionally failed to report their foreign accounts. How does the IRS define “willfully”? Internal Revenue Manual Section 4.26.16.4.5.3 states that “[t]he test for willfulness is whether there was a voluntary, intentional violation of a known legal duty.” The IRS has argued in some cases that a taxpayer with foreign accounts acted willfully by incorrectly checking the “no” box on Schedule B, indicating that the taxpayer held no foreign accounts. This is a hidden danger for both taxpayers and CPAs who are unfamiliar with the reporting requirements. With interest rates at such low levels, it is possible to have a $1 million account generating only a few thousand dollars a year in interest, yet the civil and criminal penalties for willful failure to file an FBAR could exceed $500,000. Of course, other penalties and interest can also apply to any unreported income generated by the account. Many taxpayers with unreported accounts are dual nationals, Americans living abroad, or recent immigrants to the United States. It is not unusual for workers and professionals to send money to family members in another country. Many of these people have no idea that they must report a brokerage, retirement, or joint bank account located in their home country. Each of these people is a potential client, but many traditional tax practices are ill equipped to handle offshore reporting questions. That leads to both an opportunity and a liability. Unfortunately, there have been clients who told their accountants about their offshore accounts, yet no FBAR was filed because the accountant was either unaware of the requirement or mistakenly believed that no filing was necessary if the account did not generate any income. Practice tip: CPAs should review their engagement letters and any tax organizers they send annually to clients to ensure they are asking the right questions. As a general rule, if a client has a combined total of more than $10,000 in one or more offshore accounts, the account or accounts must be disclosed annually on the FBAR and Schedule B.
CPAs are ideally equipped to help foreign-born Americans and green card holders with their offshore account filing requirements, including taxpayers who have not reported them in previous years. Now that the amnesty has ended, taxpayers must report back years through the normal voluntary disclosure process to avoid criminal prosecution. IRS Commissioner Douglas Shulman has stated that these taxpayers should not think their problems will go away by simply amending old returns and filing missing FBARs. The IRS can assess FBAR penalties up to six years from the date an unfiled FBAR was due (31 U.S.C. Â§5321(b)). Competent tax counsel is recommended if the IRS could find that the taxpayer’s behavior was willful. Public statements by the Obama administration and the IRS and a number of recent criminal prosecutions make it clear that the government is serious about addressing unreported offshore accounts. 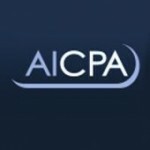 If a CPA learns that a client knew what he or she was doing, the CPA should enlist the aid of a tax lawyer. Understand what to look for when speaking with clients and preparing tax organizers or questionnaires for clients. Make sure their staff understands these things as well. For previously undisclosed accounts and income, assess whether the nondisclosure was willful, as defined by the IRS. If so, recommend getting counsel involved. If not, explore making a voluntary disclosure to the IRS.